In the year 2015 per person is having 3.47 devices that will be around 25 billion devices, In future years 2020 expected devices per person are 6.58 which is around 50 billion devices. From this statistic, we clearly identified a major problem for IoT devices is scalability and survivability. As the number of devices increases, which is nothing but scalability increases, the quality of service (QoS) will be decreased. To increase the QoS we have to design a novel architecture. To address these problems we come up with a trimet graph optimization (TGO) topology. Topology plays an important role in modern wireless technologies like WSN, Ad hoc networks, cyber-physical system and IOT. We have basic topologies like a bus, ring, star, mesh, tree, etc., which are not fulfilling all the requirements of the modern engineering problems. In this paper, we are making a new attempt to bridge the gap between existing topologies and network design problems. We are testing a novel TGO topology which is used to design a survival, simple, cost-effective topology for Wireless sensor networks and IoT. TGO topology was simulated extensively on various scenarios of wireless technologies using Contiki OS and Cooja simulator. Finally, results are compared with the existing topologies. Hajjej, F., Ejbali, R., & Zaied, M. (2016). An efficient deployment approach for improved coverage in wireless sensor networks based on flower pollination algoritham. In NETCOM, NCS, WiMoNe, GRAPH-HOC, SPM, CSEIT-2016 (pp. 117–129), https://doi.org/10.5121/csit.2016.61511. Kamalesh, V. N., & Srivatsa, S. K. (2009) Topological design of minimum cost survivable computer communication networks, bipartite graph method. International Journal of Computer Science and Information Security. http://arxiv.org/abs/0908.1033. Wikipedia. [online] https://en.wikipedia.org/. Accessed February 07, 2016. Pose, R., & Gondal, I. (2009). A cross-layer approach for QoS topology control in wireless ad hoc networks. In TENCON 2009–2009 IEEE region 10 conference, https://doi.org/10.1109/TENCON.2009.5395950. Stojmenovic, I. (2012). 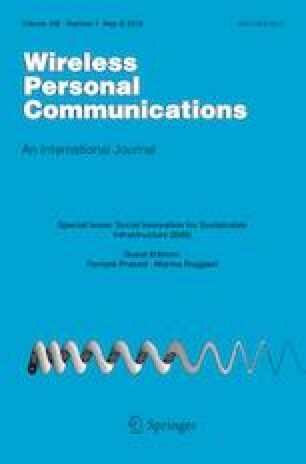 A general framework for broadcasting in static to highly mobile wireless ad hoc, sensor, robot and vehicular networks, In IEEE 18th International conference on parallel and distributed systems (ICPADS), 2012, https://doi.org/10.1109/ICPADS.2012.12.